Great story from Wellington today. Woman who had an "interesting " importing business required a number of postboxes. So using a variety of different names she set up post boxes in places such as Karori and Johnsonville. One of these postboxes was rented under the name "Susan Millar". All went well for some time and Susan Millar received parcels and other mail. This was well and good. Unfortunately the Post Shop staff made a mistake and another person, also rented out the mailbox. When Post Shop staff realised the mistake they changed the locks and let the two people know. "Susan Millar" went to collect her mail - key wouldn't work. Post Shop staff sympathetic and explained they needed proof of identity. 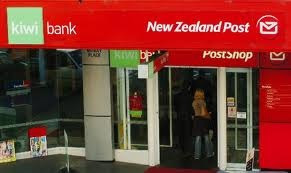 Proved hard and Post Shop staff thought it odd when they got a phone call from "Susan" who said she was overseas but was happy for her friend to collect the mail. She was expecting some chocolate from the US. They called police who found a package that said "white chocolate powder" but instead was meth. Woman came back to collect parcel and found Police waiting for her. She feigned surprise Police took her home and found more than $10,000 in cash and a host of false identity papers. Other postboxes in Newmarket also had some of the same "chocolate"